How much is Martin Jarvis Worth? 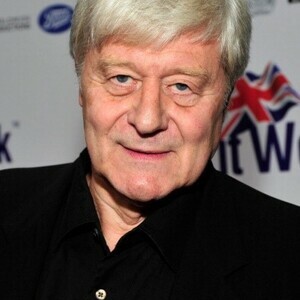 Martin Jarvis net worth: Martin Jarvis is an English actor who has a net worth of $10 million. Martin Jarvis was born in Cheltenham, Gloucestershire, England, United Kingdom in August 1941. Jarvis has over 130 acting credits to his name. He is also known for his voice acting for radio and audio books. Martin studied at the Royal Academy of Dramatic Art and acted in many stage productions. He read Charles Dickens' A Tale of Two Cities for an audio book on cassette and CD. He has been associated with the BBC and BBC Radio 4. Jarvis starred as Joylon "Jon" Forsyte on the TV series The Forsyte Saga in 1967. In 1968 he starred as the title character in the series Nicholas Nickleby. He starred as Oliver Pryde on the TV series Rings on Their Fingers from 1978 to 1980 and as Detective Inspector Sam Harvey on the series Breakaway in 1980. Jarvis also had recurring roles on the TV series Little Women, The Moonstone, David Copperfield, Zigger Zagger, Jackanory, Doctor Who, The Black Tower, Chelworth, Max Steel, The Queen's Nose, The Grim Adventures of Bill & Mandy, Taking the Flak, East Enders, and Just William. He also starred in the movies Taste the Blood of Dracula, Buster, Titanic, and The Girl with the Dragon Tattoo. Jarvis was rewarded the Order of the British Empire in 2000 and published his memoirs Acting Strangely: A Funny Kind of Life.